Long before the Johnny Stompanato scandal, one of the most popular stories that followed The Postman Always Rings Twice femme fatale Lana Turner around as closely as her own shadow was the old Hollywood legend that the blonde screen star had been first discovered at a drugstore. Comprised of all the ingredients of an underdog/fish-out-of-water/Cinderella story that's since become synonymous with Hollywood movie-making, the Lana Turner legend has become almost as iconic as the all-white image of her walking into the frame of the dark world of Postman's Film Noir. Therefore it’s only fitting that the woman responsible for creating the single-hue dominant motif of Turner’s mostly white Postman wardrobe (which led to department stores being unable to keep white garments in stock) was also discovered working in a drugstore two decades earlier herself when future MGM costume department head Irene was spotted by Mack Sennett Studio director F. Richard Jones. Now that's a coincidence worthy of – if not a Hollywood movie – than at least Hollywood itself! Having worked since the age of nine in her family’s South Dakota general store before catching a train to Los Angeles eight years later, Irene was a quick study everywhere she went. Acquiring the skills she would eventually require later on when starting her own successful dress shop, Irene graduated from extra to assistant to lead actress at Sennett Studios before attending Wolfe School of Design which gave her the knowledge and confidence she needed to strike out on her own. Initially starting out small, Irene’s figure flattering creations soon attracted a long list of private clients including the wife of future boss Louis B. Mayer and A-list actresses who wore Irene’s fashions in some of their onscreen roles without studio permission or credit to the designer. Inspired by everything from gallery exhibitions to architecture (which she utilized to construct undergarments for Marlene Dietrich) along with the Parisian salons she visited following a personal tragedy, Irene was so successful in her own dressmaking endeavors that she initially turned Mayer down the first time he tried to hire her. Once World War II depleted the men from the costume department, Mayer’s wife encouraged him to ask her favorite gown designer to reconsider accepting the position which she did. Negotiating a sweetheart deal, Irene was granted everything that had already been put in place by MGM’s previous head designer along with greater freedom to make top-level decisions and approve staff. With her own loyal employees in tow and the understanding that she would be able to continue to dress her private clientele despite her new job, Irene officially made the move to MGM in 1942. Soon tasked with juggling several projects at once, one of her first big assignments was designing the scandalous costumes for longtime friend Lucille Ball’s newest project DuBarry Was a Lady. Responsible for overseeing, designing and/or handcrafting thousands of looks throughout her career, Irene’s landmark contributions to the Golden Age of Hollywood costume design easily made her one of the earliest pioneers of the art-form and one on-par with her far more well-known peer and industry rival Edith Head. Plagued by misfortune, heartbreak and person demons in her private life which began to take their toll on her career near the end of her MGM heyday, authors Frank Billecci and Lauranne B. Fisher (daughter of Irene’s longtime personal friend and artist Virginia Fisher) bring Irene’s legacy to vibrant life in this long-overdue book. 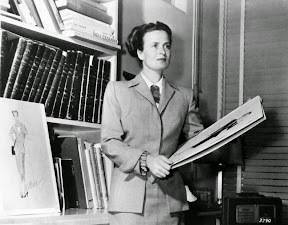 Compiling over one hundred and fifty breathtaking sketches and photos (including many from Virginia Fisher’s own personal collection) to augment this accessible yet well-researched text, Irene gives readers a closer understanding of one of the most unsung artisans of the 1940’s. Furthermore, the work from Schiffer Publishing is filled with insider details from and about those that knew her best. 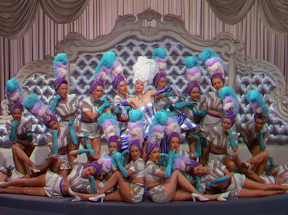 Articulating the groundbreaking techniques she used in making the color of a costume an opera inspired musical motif for example, we realize that Irene’s efforts enhanced viewer understanding of MGM's masterpieces on a level most are completely unaware. And film fans reading Irene today will undoubtedly be eager to go back and view some of the titles she worked on to see the impact her designs made on the final cut. 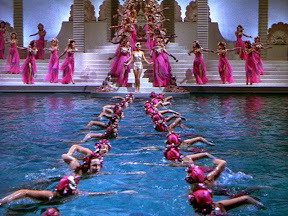 Additionally, the authors recount her great friendships with performers loyal to her throughout their careers including Esther Williams and Judy Garland as well as her conflicts with Katharine Hepburn who did everything possible to sabotage the painstaking work done by Irene’s department from covering up the costumes to hide clothes she didn’t like on camera or sitting on the ground. An engrossing and fast-paced read, Irene addresses the highs and lows of life on and off the MGM lot. Yet despite this, true film lovers do long for more in-depth analysis regarding how and why certain key pieces were crafted and the ways in which Irene worked in tandem with the production designers etc. to convey with art a chosen story, mood or theme (as evidenced in the outstanding Postman section). Nonetheless with so many films to work into the seven year span of her tenure at MGM in a mere one hundred and forty-four pages, Irene’s scribes do an admirable job. And all in all it’s a terrific starting point for those with an interest in greater study on the medium of costume design on film which is currently at an all time high given the success of the nationally touring Hollywood Costume Exhibit. A gorgeously illustrated and lovingly crafted work penned by the writers in tandem with Virginia Fisher, hopefully Irene will inspire further research into the still influential work of the designer who’s often overlooked in favor of her likewise extraordinarily talented peer Edith Head. 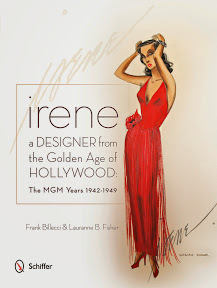 Highly recommended, while Irene makes a perfectly lovely coffee table book for fashion fans, it’s also an inspired title to pluck out of obscurity (much like Lana Turner or Irene herself in a Hollywood drugstore) and add to the holiday gift list for the cineaste in your circle of family and friends.